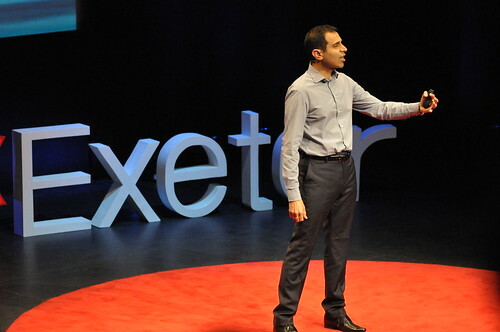 At TEDxExeter we seek exceptional people to share their ideas with our community. We welcome nominations for speakers and performers of any age or background – people with ideas worth spreading. 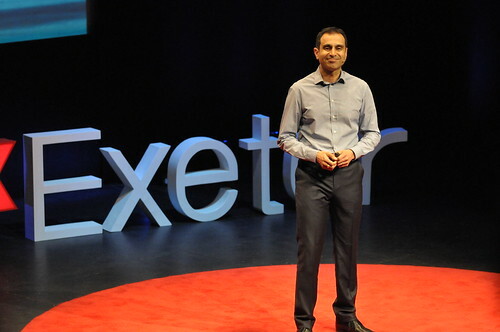 You can now nominate yourself or someone you know or admire as a potential speaker for TEDxExeter 2017, which will take place on Friday 21 April 2017. Nominations must be in before midnight on Friday 9 September 2016. Read on to find out more. 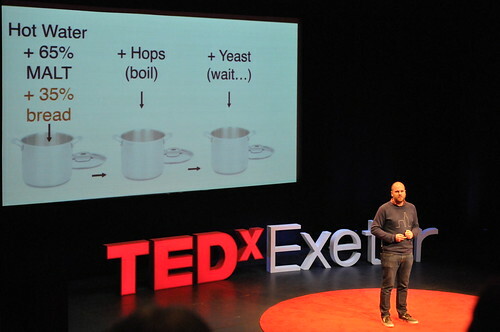 TEDx talks are all about ideas. The format is simple – a powerful idea, communicated to connect with the audience and change the prism through which we view the world. Our talks are compelling, challenging, inspiring, and delivered without notes or complicated slides. 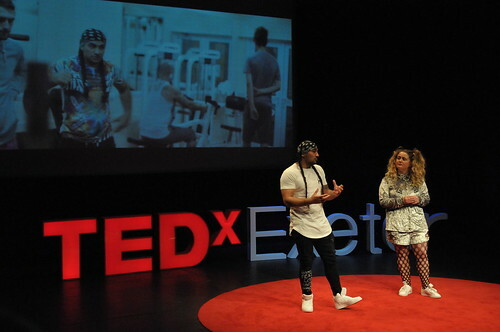 TEDxExeter is one of the UK’s foremost TEDx events, a platform for exceptional ideas, and a catalyst for profound change. We hold an annual one-day conference which draws a diverse and passionate array of speakers, performers, demos and audience members – almost 1,000 people are there on the day. We livestream the whole day, and in 2016 people gathered in over 30 viewing parties around the world, and viewers from 69 countries watched live online. We also run community events throughout the year exploring issues with local relevance. 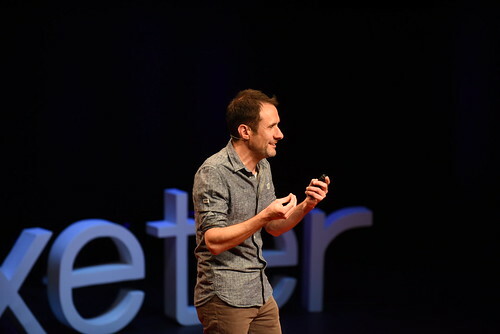 Talks from TEDxExeter have been viewed over 6.5 million times around the globe and so far four of our speakers have been featured on TED.com, one of the world’s leading platforms for big ideas, with more of our talks to be featured there soon. 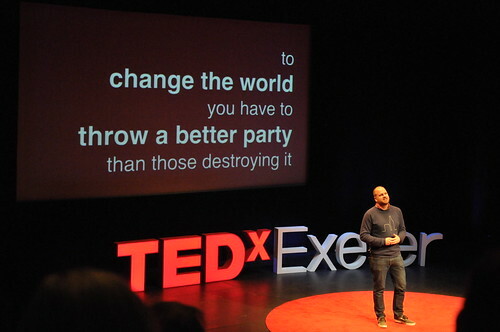 All TEDxExeter speakers and the team are volunteers, committed to nurturing and amplifying the innovative ideas that we hope will make Exeter — and the world — a better place. If a lecture is a cup of tea, then a TEDxTalk is a double shot of expresso. A TEDxTalk is a way to condense your ideas into a compelling brief talk that spreads a big idea. We’ve discovered that these short talks can have a long lasting impact. 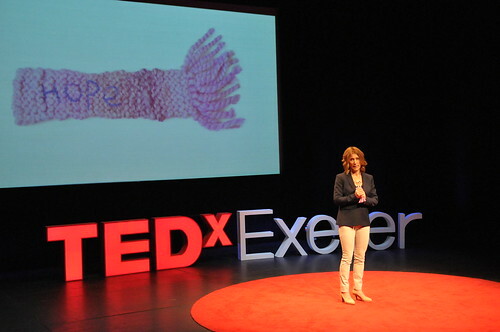 We are now looking for speakers and performers for TEDxExeter 2017 where we will explore the theme of Hope. It will be held in Exeter on 21 April 2017. 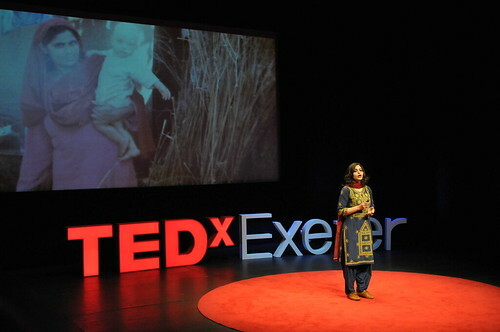 This year we will also hold smaller TEDxExeter events and we’ll consider your applications for them too. 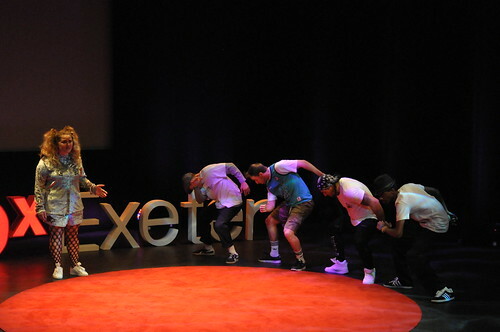 So, how do we begin choosing individuals for the TEDxExeter stage? Who are we looking for? In 2017 our speakers will explore some of the biggest challenges facing us all, looking at them through the lens of Hope. We look for speakers who are changing the world through their work and ideas. We approach speakers directly, and we also invite applications from people who want to be considered. 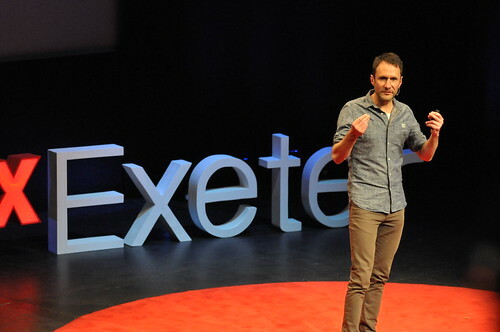 How do you become a TEDxExeter speaker or performer? Apply now to speak or perform at TEDxExeter 2017 – or nominate someone you would like to see or hear. Applications close at midnight on 9 September 2016. Never given a talk before? Members of our team work closely with selected people to help them prepare and develop their talk or performance. All the speakers, performers and coaches volunteer their time to ensure a memorable and impactful experience on conference day. Click here to complete the submission form. Applications will be reviewed on a rolling basis. You also have the option of attaching a video file with a maximum length of two minutes. Submissions will be reviewed by our speaker team, and we’ll reply to you by email by 1 October. Please be concise, keeping your answers below 150 words per question. 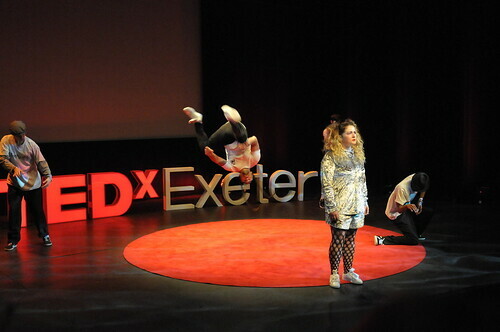 At TEDxExeter we are lucky to have many more nominations for speakers and performers than we can possibly use. Whether you are nominating yourself, or someone you’d love to hear speak or perform in Exeter, you will stand a much better chance of success if you read (and follow) these tips before you nominate. 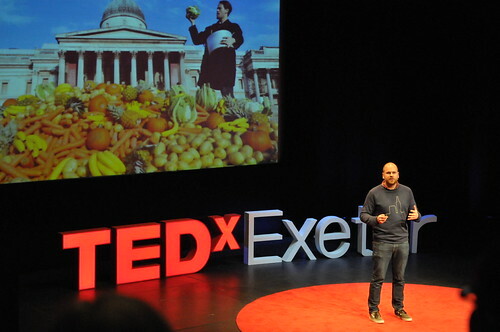 At TEDxExeter, like its parent TED, speakers are selected for their “Idea Worth Spreading”. If you think your idea is new, make sure it hasn’t already been shared – especially at another TED or TEDx conference. Most importantly, make sure the nominee’s message is one that will make the audience wonder, one that will inspire, and one that will make them continue the conversation. 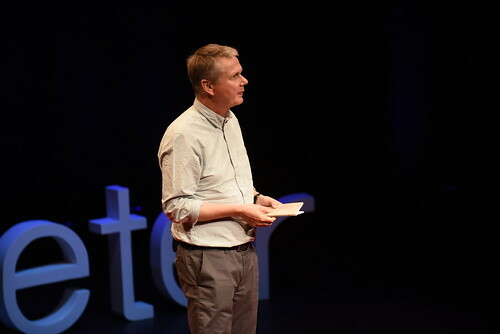 We want our speakers to connect with the audience here in Exeter, but their ideas should have global significance and be applicable to the broader global community. Is your nominee the right person to share this big idea? Think about why you or the person you are nominating should take the stage to convey their message, and whether they are the best ambassador for that topic or idea. 4. Sell your idea, not your product. We often receive nominations from talented individuals looking to promote or sell their book, business or service. 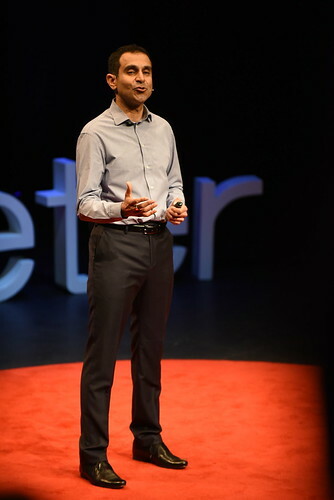 The TEDxExeter stage is not an opportunity for self promotion or to promote companies or organisations, but a platform for exceptional ideas and a catalyst for profound change. One of TEDs key rules is no selling from the stage. There you have it! We sincerely appreciate the time, effort and thought that goes into each submission – and we look forward to revealing our line up of speakers in January 2017! Click here to nominate now. The closing date for nominations is by midnight on Friday 9 September 2016. 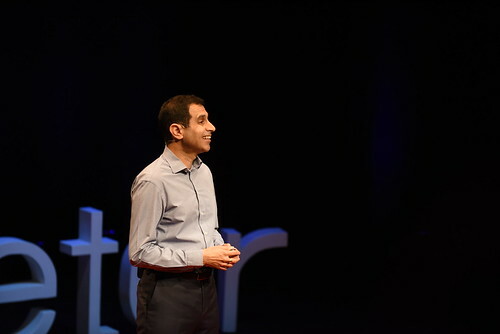 The TEDxExeter 2016 livestream was watched by people from 69 countries all over the world during the course of the day. The top 25 countries included (among the usual Western suspects): India, Mauritius, PNG, Pakistan, and Libya. Riffing on the mapping presentation in his talk “Imagining the world anew”, Danny Dorling kindly passed on our request to his colleague Ben Hennig, who brilliantly produced the following for us. The first map shows each country represented in the streaming data in an equal size, so that it is a highlight of where all the visitors in the world came from, but represented by an equal measure and not in any other proportion. All other countries basically disappear from this first map. The second map includes the actual shares of stream usage from each country. In this one, the UK is most prominent because it took the major share. The third map takes out all UK data (so these 86% share of streams from the UK) and gives a proportional picture of where else people streamed the event in an accurate relative representation. 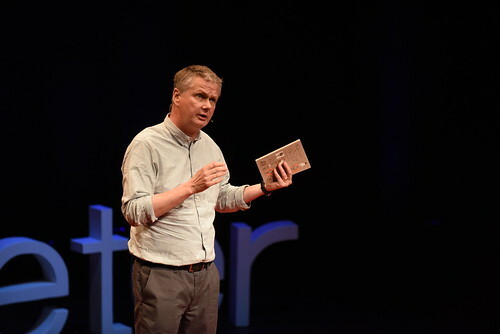 I couldn’t blog at the speaker rehearsals earlier today, so instead here’s a few teaser photos and videos courtesy of our Production guy and TEDxExeter alumnus Andy, and our experiences guy Ed. This guest blog was very kindly contributed by Juanita Wheeler, the Licensee of TEDxSouthBank in Brisbane, Australia. You can find out more on TEDxSouthBank’s website and Facebook page. Over the last four years I have been involved with TEDxSouthBank in a variety of capacities. In my first year I was a participant in the audience. The second year I was an advocate (a volunteer dedicated to supporting new participants immerse themselves in the TEDx community). In 2014 I was a speaker, and most recently I have become the Licensee (organiser). There is a world of difference between watching the (inspiring, funny, heart-wrenching, empowering) TED talks online and attending a TEDx in person. Speakers who bring their A-game are absolutely captivating. They take you on a journey into the world as they experience it, providing you come prepared to travel. You will laugh when they laugh, cry when they cry. You will feel the high of their highs and the low of their lows. If you have notions of coming to passively watch a series of talks being delivered, throw that out the window. Come prepared to be taken on a journey, but free of preconceptions about what that journey might entail. Attending a TEDx event can change your life. It changed mine. But it wasn’t instantaneous. It didn’t happen that day. Don’t come expecting that by 5pm your new life plan will be in place (don’t laugh, I’ve heard people say it). It is far more likely you will leave exhausted with a complicated mixture of emotions, and experiencing what I call ‘TEDx brain whiplash’. 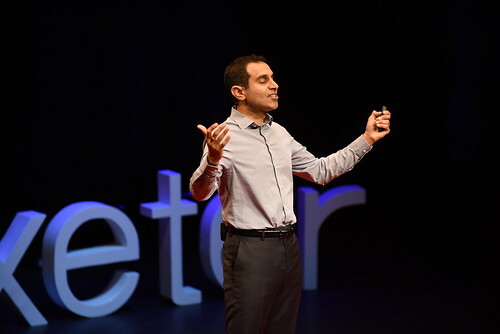 Over the course of a TEDx line-up you will likely be confronted by talks highlighting the best and worst of human attitudes and behaviours, the greatest good and the worst evil. You will see the heights to which human dedication and perseverance can climb, and the massive challenges that are still confronting humanity, waiting to be tackled. For some the experience is overwhelming and it can take a few days, weeks or even months to process it all and decide on a course of action. Even the most extroverted of us has become conditioned to refrain from striking up a conversation with a total stranger in a coffee queue. We would certainly never walk up and ask someone (pragmatically or existentially) why they are here and how they are looking to change the world. Leave this societal conditioning at home before you set out, because these are completely appropriate (even expected) behaviours at a TEDx event. And speaking of connections, whether you’re attending a boutique, 300 participant TEDx event or one with a crowd of over 1000, there will rarely be enough time to connect with everyone you want to. Chances are you will be 30 seconds into meeting someone who you suddenly discover might be a perfect partner in your plans to change the world, when you are called back into formal talk sessions. Before they disappear into a sea of people you need to be able to give them your contact details quickly. Whether it is a business card or an electronic contact app you need something in place to handover your details quickly that doesn’t require you both to be on the same social media platform. Members of a specific TEDx community can follow each other’s progress and support each other’s endeavours. Like any community you get back what you put in, but given the passionate, motivated and dedicated collection of people who form independent TEDx communities throughout the world, this is potentially the most supportive and well-connected community you will ever be a part of. So join the community, and engage online in the lead up to and beyond the in-person event. 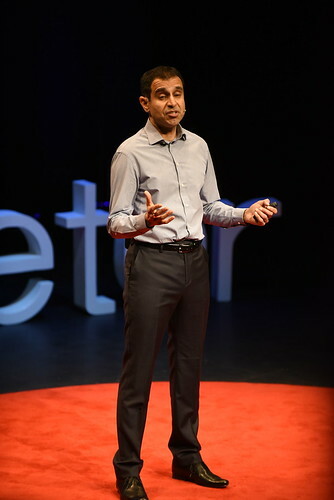 If you are a passionate consumer of TED and TEDx Talks, if you are someone who is inspired by the ideas contained within them and are looking for, or currently developing your own idea to challenge the status quo and make the world better in your own small or large way, then you are precisely the type of person who should be attending a TEDx event. So when you are in that room, engage with other participants and speakers with confidence. Your ideas, the contributions you have made to your chosen community to date, or the potential contributions you are poised to make are what TEDx events are all about. You are in that room for a purpose. A great tip if you are looking to break into a group conversation with a speaker is to politely interject and ask the speaker if they would like a drink. A young man did this very thing with me in 2014, returned promptly with a soft drink (for which I was incredibly grateful), and seamlessly became part of the group conversation. Well played. People often look at me sceptically when I tell them that the talks aren’t the best bit about attending a TEDx event. Don’t get me wrong, the talks are outstanding, and nothing quite compares to the electricity in the room as you experience compelling oratory first hand. Like the moment when you and the person sitting next to you are both holding your breath, or wiping aside a tear at the same time. This last tip is probably the most important. And though I am loathe to come across all Dead Poets Society, carpe diem, seize the day evangelical, it must be said that if you have managed to secure a ticket to attend a TEDx event you have been given a chance to take a moment and rethink the world and your role in it. Do not waste it. TEDxExeter is prominently featured in the Spring 2016 issue of Exeter Living, on the front cover no less! 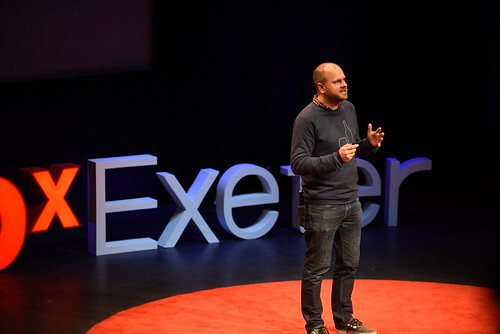 See page 10 for this year’s theme and an introduction to Giles Duley, among other speakers, and pages 62-63 for a TEDxExeter-inspired selection of books. We are also delighted that TEDxExeter is a finalist in the “Event” category of the Exeter Living Awards. We are up against some stiff opposition, including the Rugby World Cup 2015 Exeter and Exeter Festival of South West Food & Drink. Unfortunately, we won’t be able to attend the Awards ceremony, as it will be held on 14th April, the evening before TEDxExeter 2016, and will coincide with our speaker dinner. But maybe we will hear some good news during the pudding course!